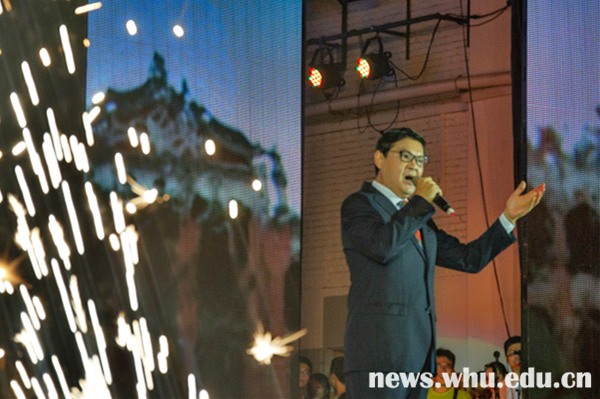 The Theme - "Let Your Dream Set Sail from Wuhan University (WHU)"
On a golden autumn night, we gathered together to enjoy an audio- visual feast and contemplate the history and strength of Wuhan University at the foothill of Luojia Hill, beside the East Lake. 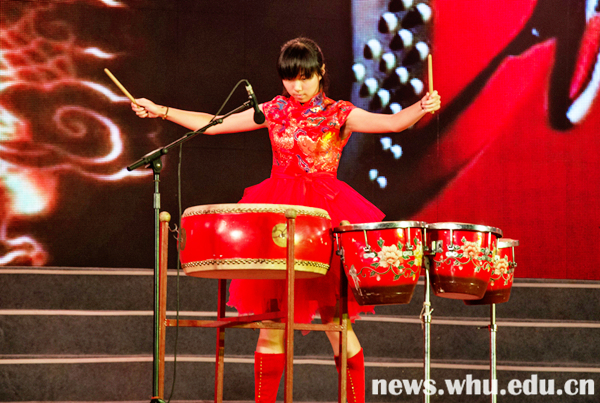 September 27th witnessed an evening party to welcome the 2014 freshmen, as well as to celebrate the National Day at Wuhan University. At the festivity, magnificent symphony and folk music played by Chinese flute and xiao intertwined with enthusiastic hip-pop dancing and sophisticated roller-skating performances which popped up one after another. A boisterous crowd gathered to admire the beautiful lighting and the performances. The music was fused with praises and applauses, among the hubbub of voices. Numerous students took out their cell phones to take photos and record videos, in order to immortalize this beautiful moment. The shining phone screens glittered as twinkling stars, merging with the dazzling lights. Such moments will forever imprint our memory. Wuhan University has a beauty in itself, yet the 27th of September night, the beauty came not from its wooded hill, not from the luxurious plants bordering its alleys, not from the peaceful river banks, but rather from the vitality emerging within this numerous gathering of students. Their free spirits and their inexhaustible possibilities and hopes they bring to the school really make Wuhan University great. The festivity went on with cheers and joyfulness, marking the beginning of university life for all the 2014 freshmen. 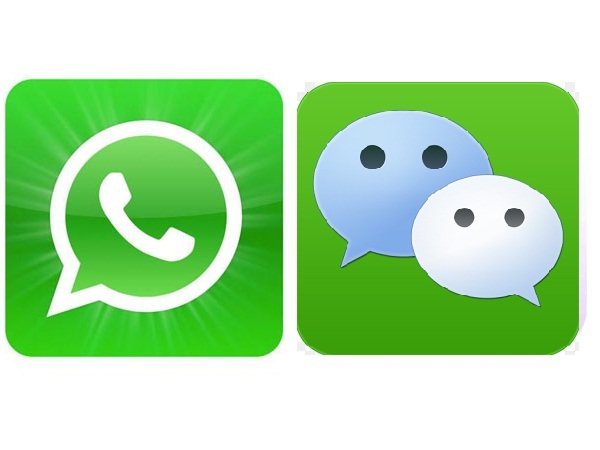 The festivity got started with the magnificent Chinese symphony of “Thunder and Lighting” and “Good News from Beijing to Border”, which instantly lightened up the passion of the audience. It is common to hear the song of “Ode to the Right Flag”, but have you ever seen it acted out in a sophisticated choreography? 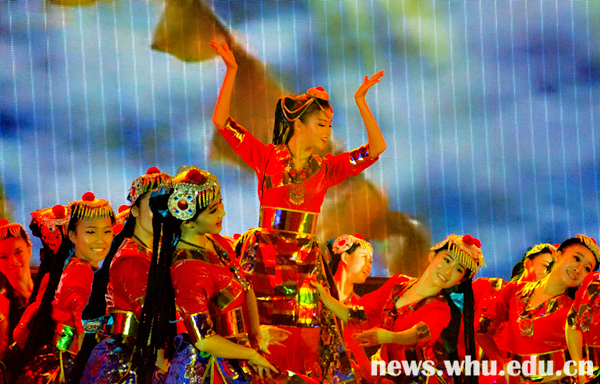 A group of dancers performed it with their fascinating body language, in front of the mesmerized audience. 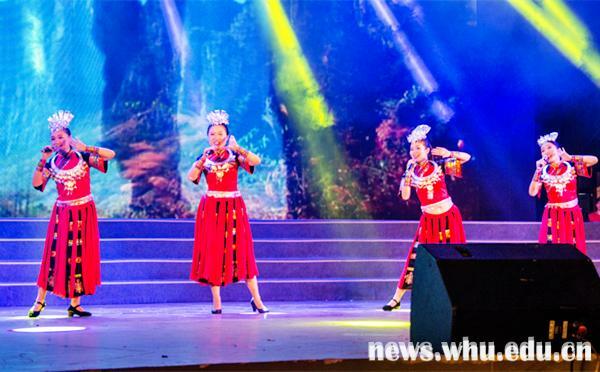 We also enjoyed the cheerful and lively love song of the native Tujia ethnic groups. The name of the song was “Zhi Ga Si De” in local dialect, which meant “Excellent”. And indeed, the four female students had given an excellent performance. The beauty of Wuhan University’s campus lies in its unbending backbone formed by the Luojia Hill and the tender, glistening water of the East Lake. Its beauty reminds a poem, a dance or a painting. 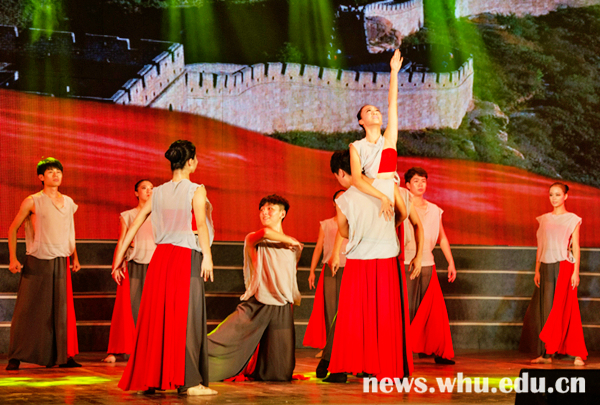 The dance performance named “As Pretty as a Picture” embodied this specific beauty of WHU’s campus. Our ancestors turned the primeval rhythm into a musical form called percussion. This beat was in accordance with the people’s heart, in accordance with its rhythm and pulse. The percussion performance “Dragons Rising and Tigers Leaping” expressed this particular joy of life and display of vigor. It was the immortal heart beat that the dynamic rhyme and dancing movements reflected. They were aimed to cherish and remember our youth. 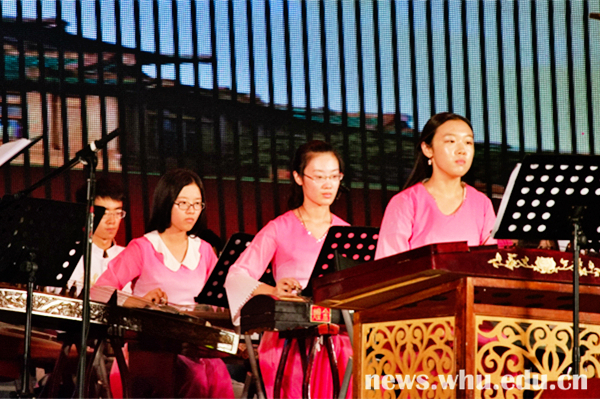 The ensemble of Chinese musical instruments followed, including the mild Chinese flute and xiao, which challenged and delighted the spectators with high pitched sounds and amazing rhythm. They sprouted different emotions and feelings which intertwined in a special way. 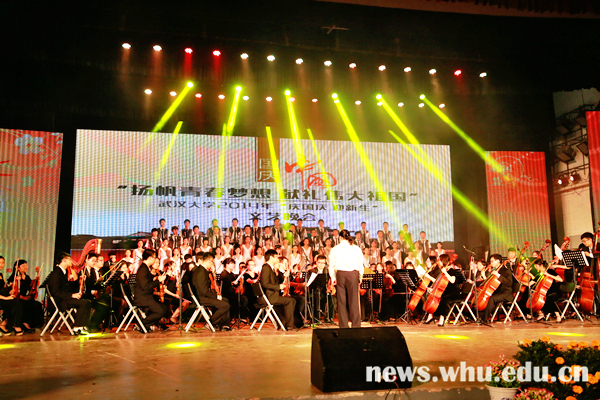 The celebration ended with a traditional song named “The Yangzi River’s Rolling to the East” sang by the president of Wuhan University Li Xiaohong. Just as the famous quoted poem “the Yangzi River is rolling to the east, with heroes sprayed away by its current”, he warmly welcomed all the freshmen. This is the age when truly great men and women emerge and carry our hopes!